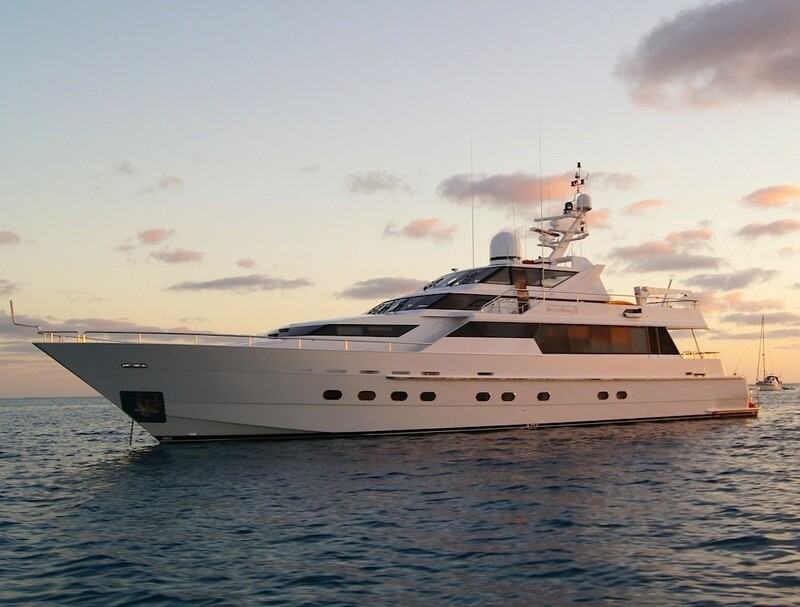 Yacht OSCAR II (ex SPIRIT OF SOVEREIGN) is a 31m (101' 8") luxury motor yacht built in 1990 and refitted in 2005/2014. 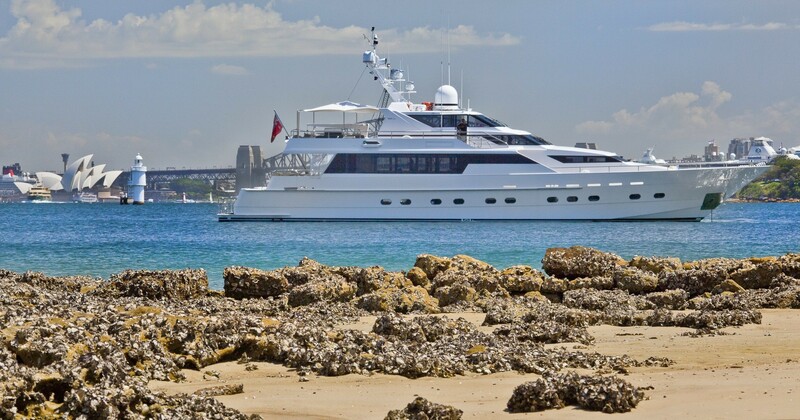 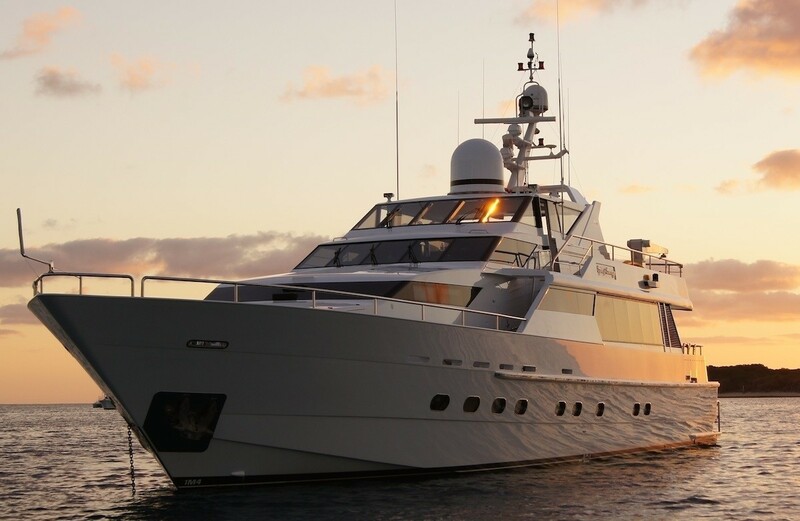 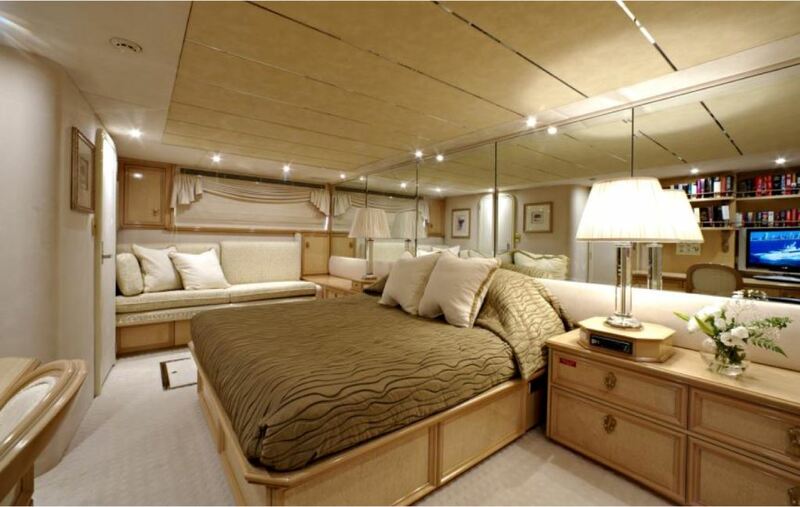 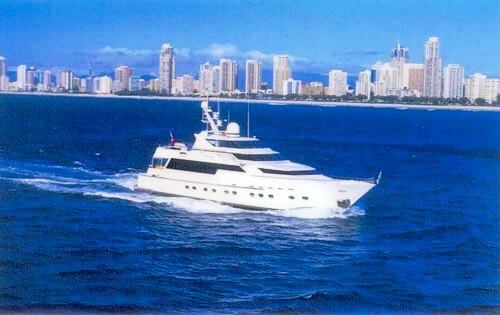 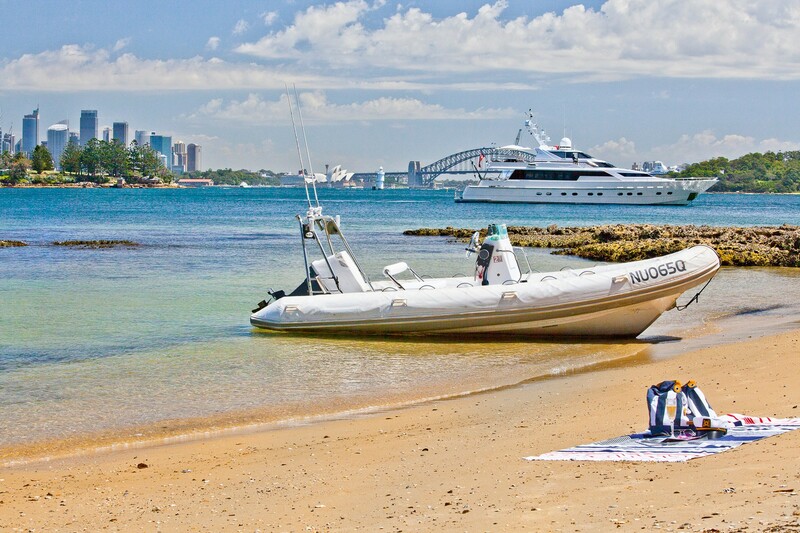 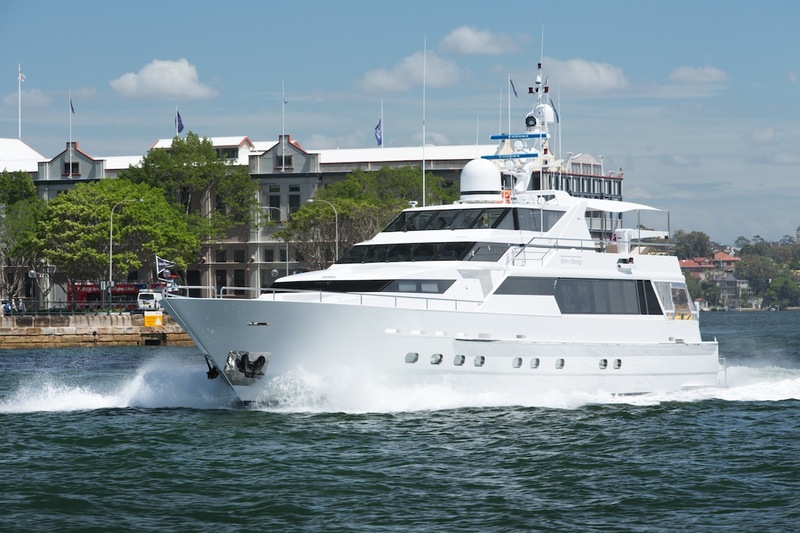 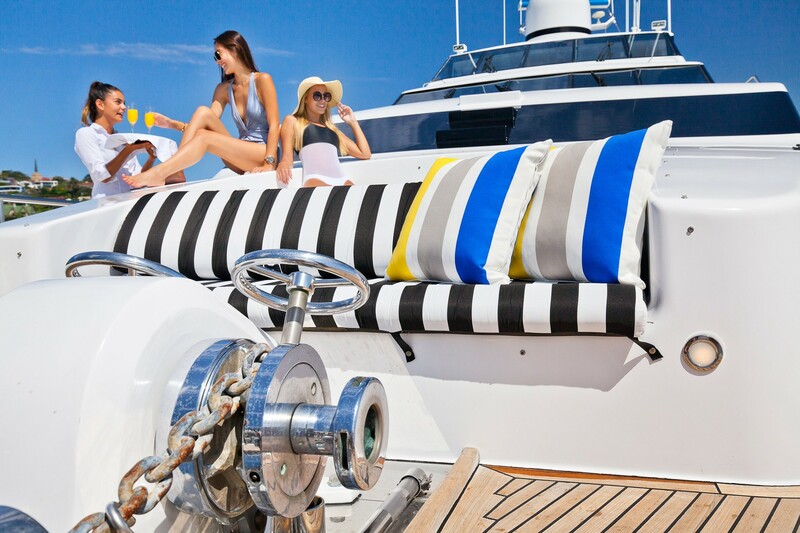 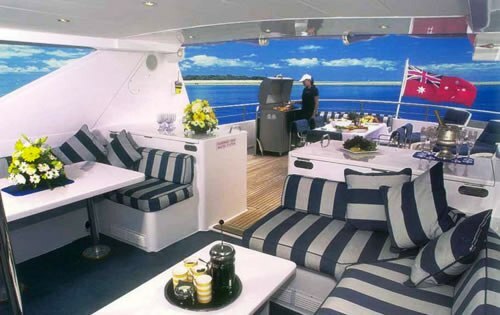 She can accommodate 8 charter guests, in 4 stylish staterooms and cruises in the warm waters of Australia year round. 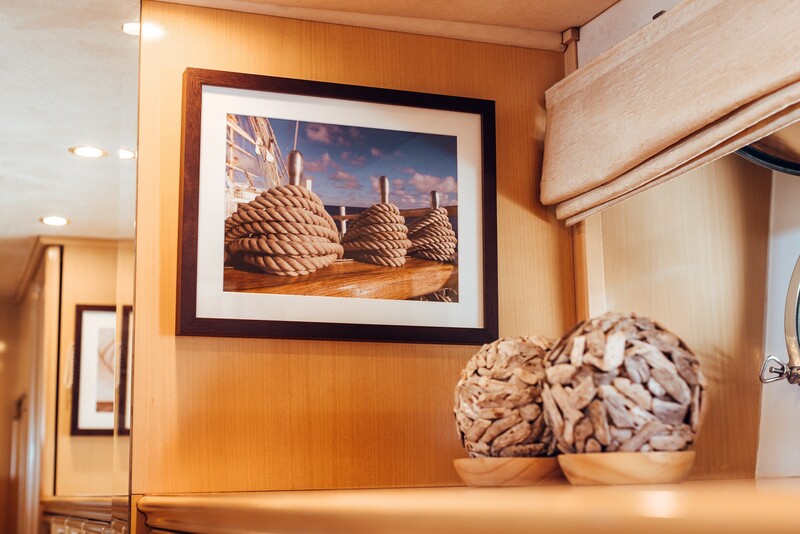 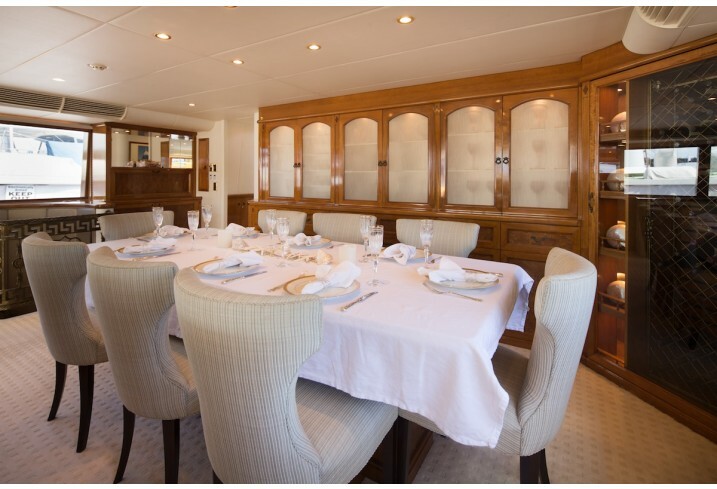 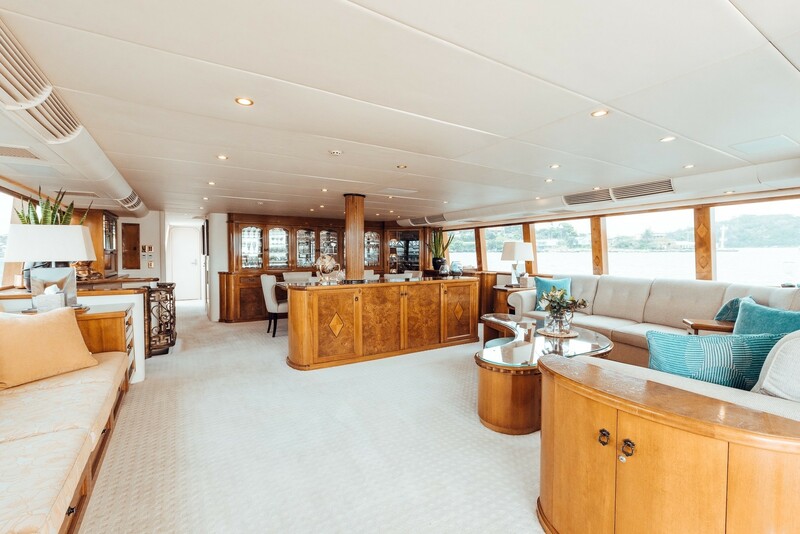 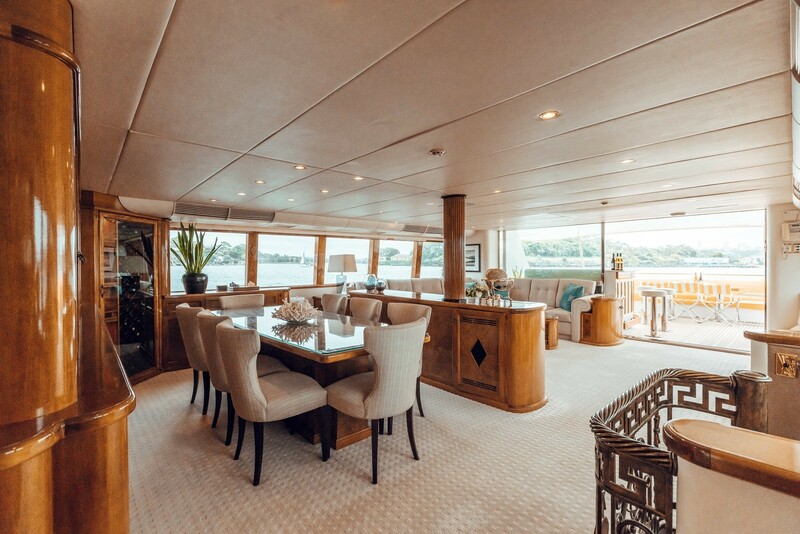 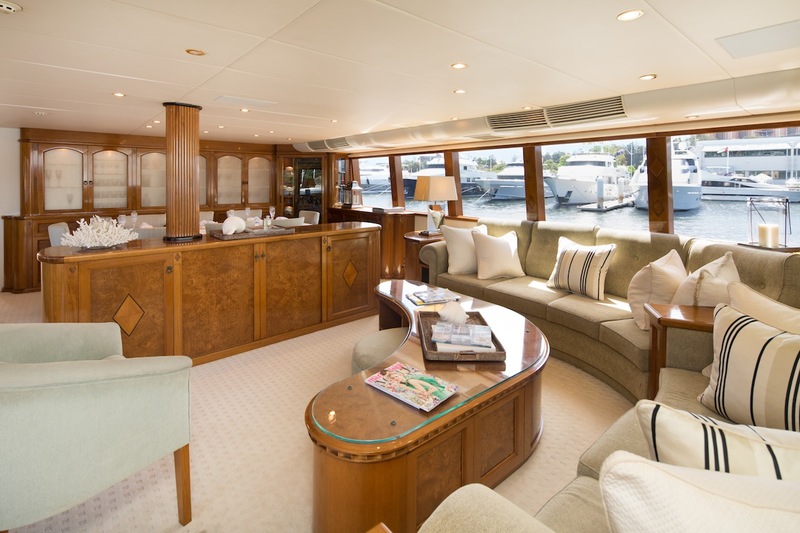 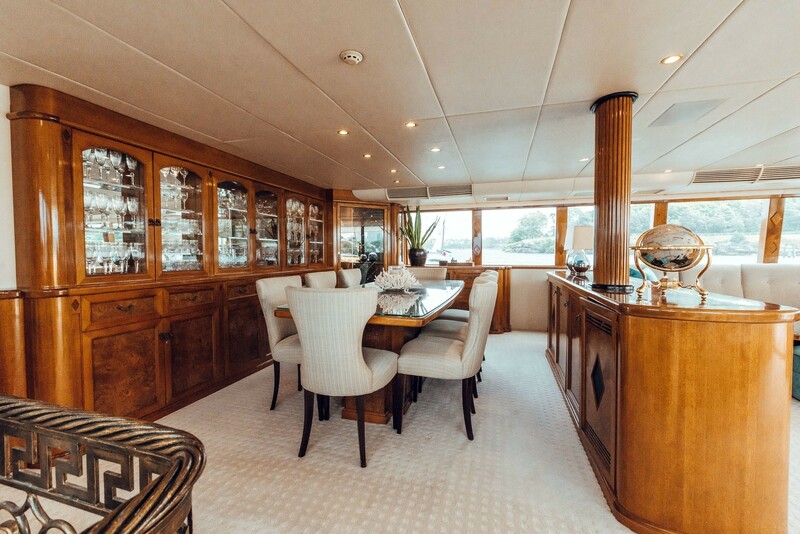 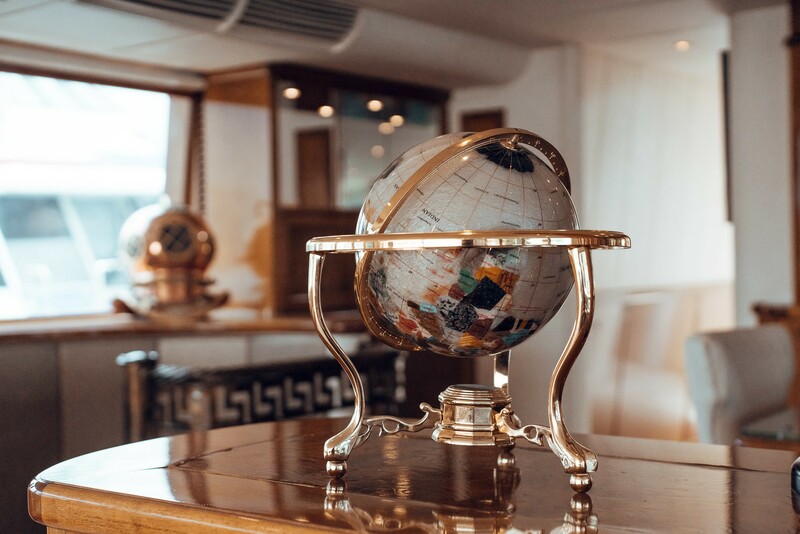 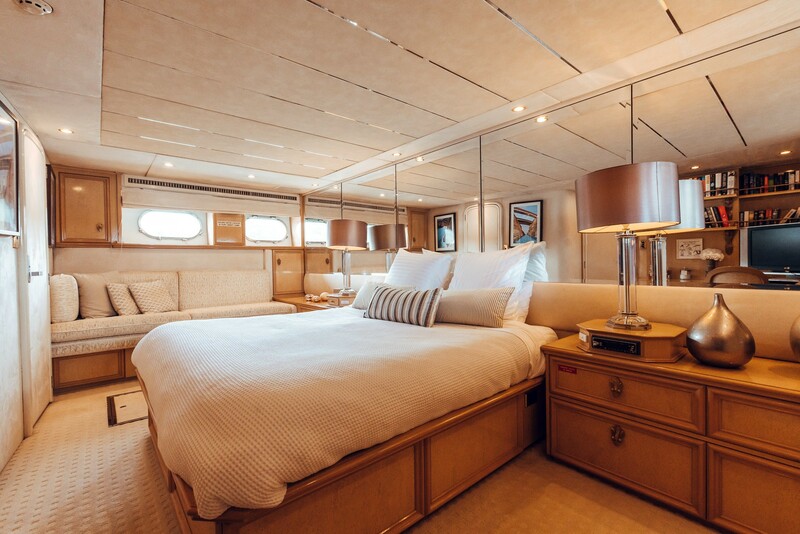 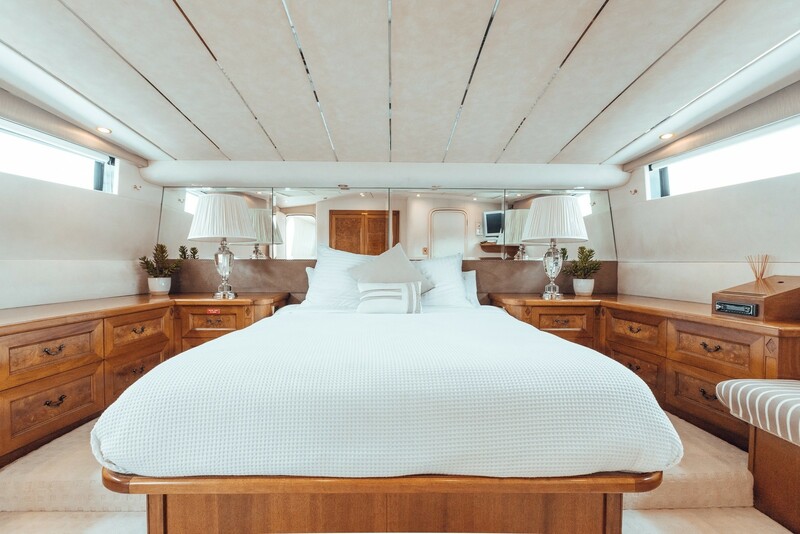 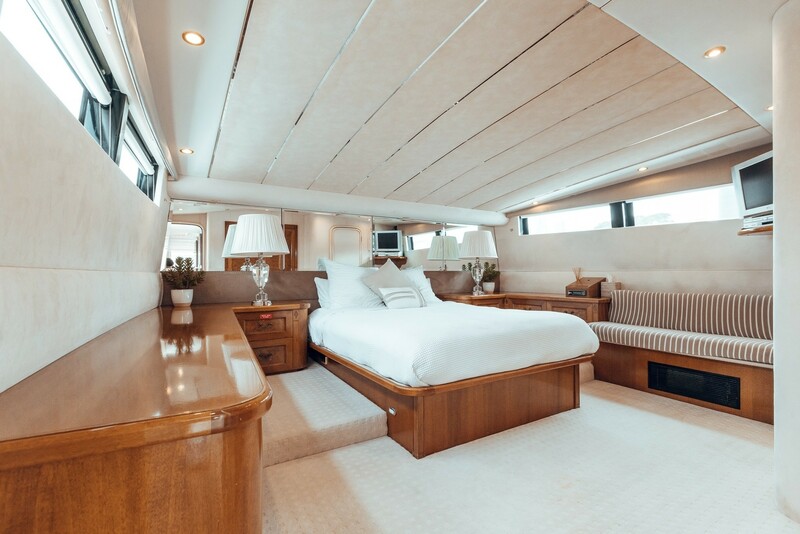 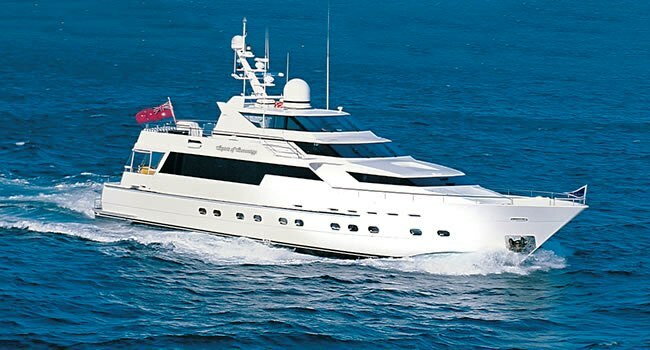 Motor yacht OSCAR II has been fitted with top of the range facilities and is stylishly furnished in understated elegance. 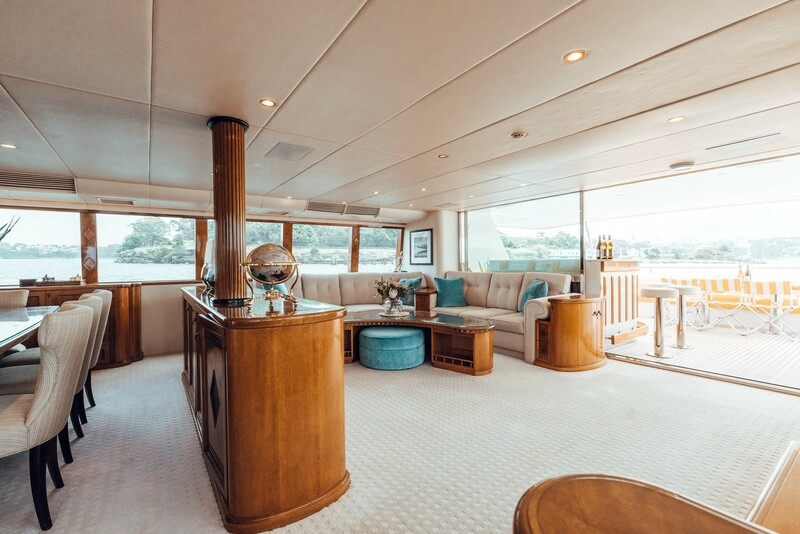 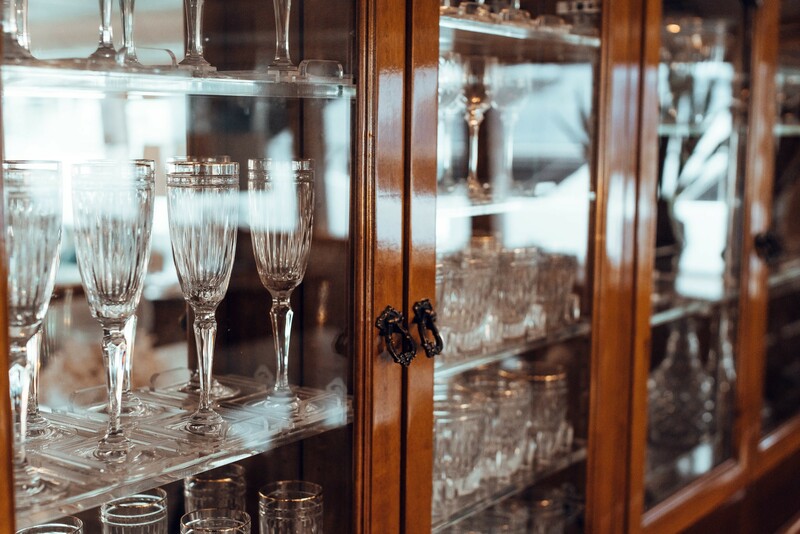 Her large and spacious saloon which offers panoramic views is a very comfortable living space combining an informal space for relaxing during the day or night where you can enjoy the state of the art home theater and sound system and a formal evening dining area for 8 guests. 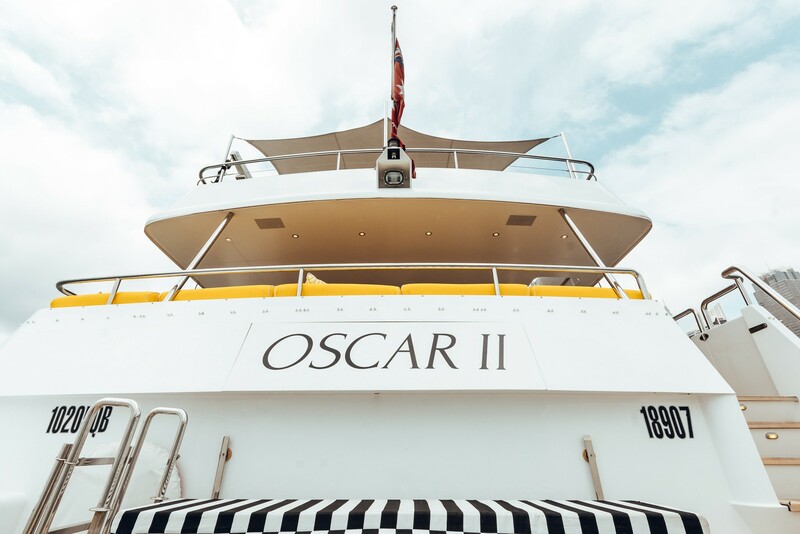 Complementing OSCAR II's interior spaces are a variety of outdoor areas designed to maximize outdoor living. 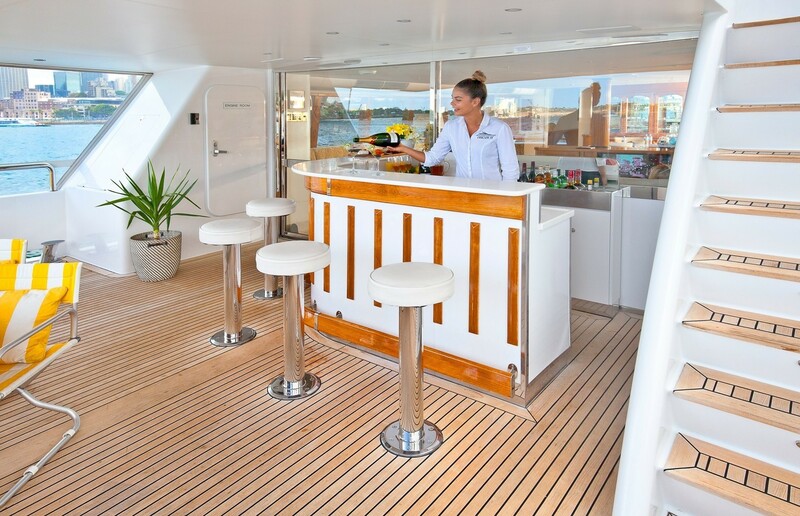 The spacious aft deck with bar pictured below is the perfect place to enjoy a cocktail while watching one of the many spectacular sunsets or perhaps enjoy an informal al fresco meal. 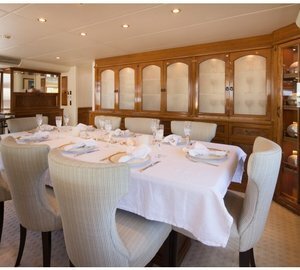 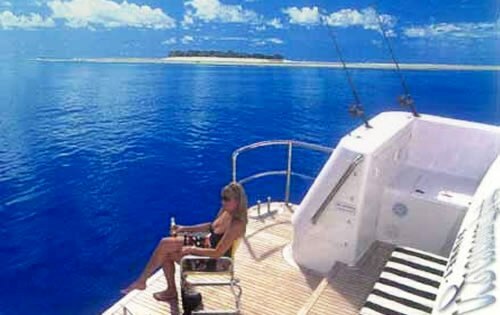 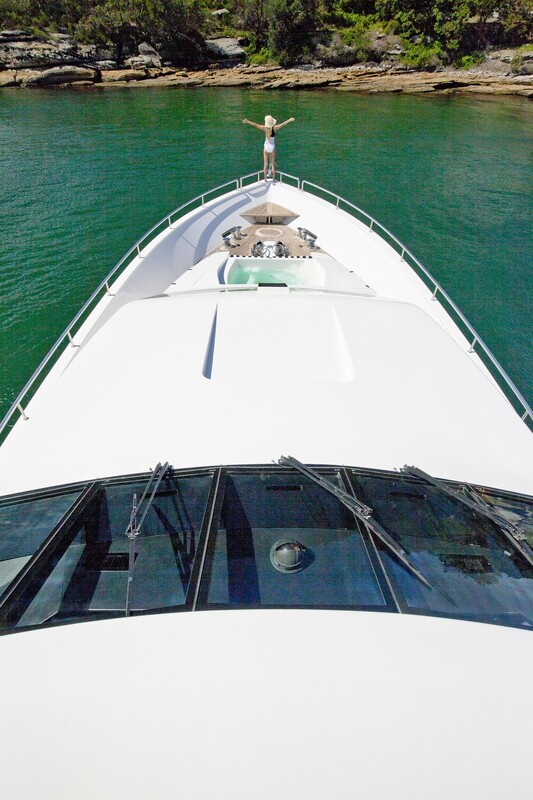 The transom which is accessed via the aft deck is a great place to dangle your feet, sun bathe or even try your hand at fishing! 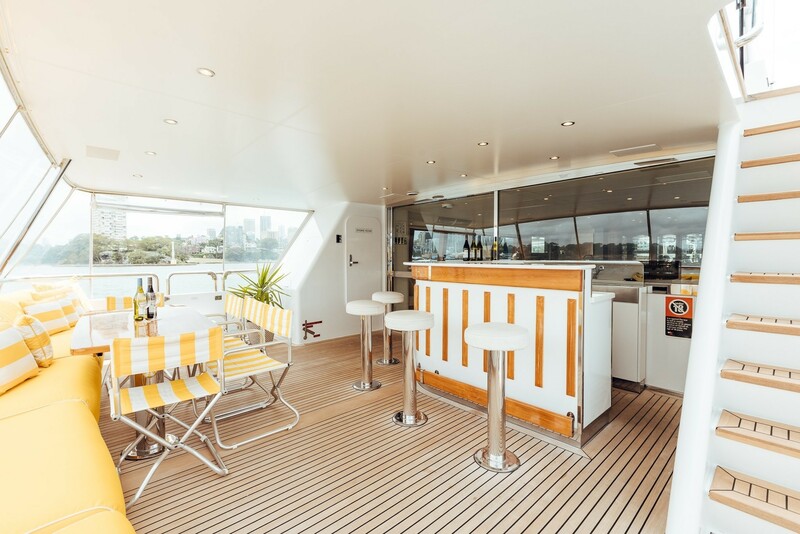 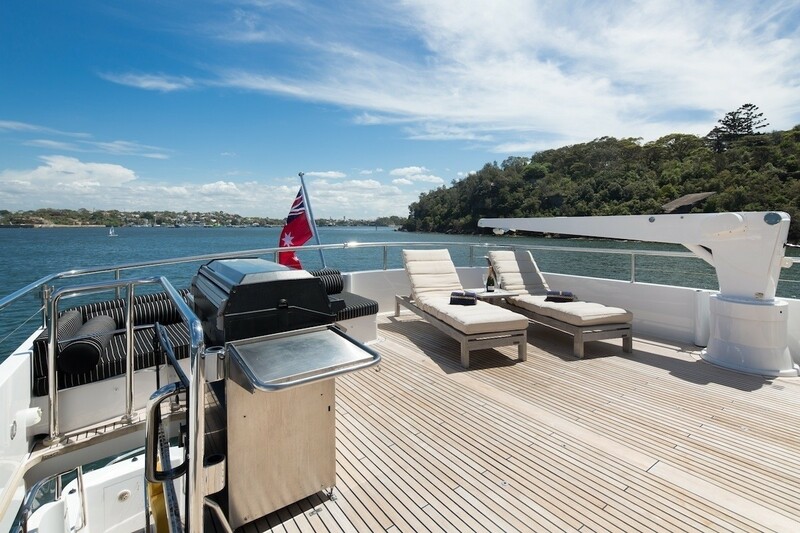 The top deck, equipped with a BBQ, loungers and space for dinning is also a favorite area to enjoy the panoramic views of Australia’s waters and coast line. 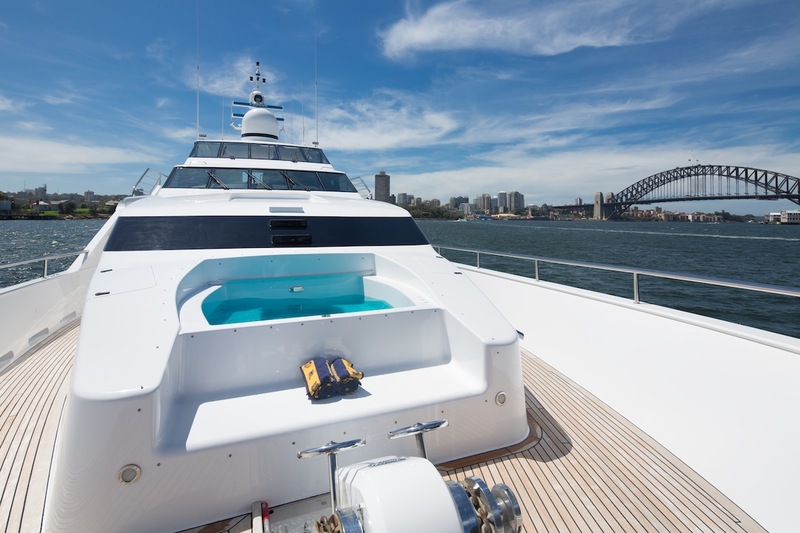 There is also a Spa Pool spa located on the fore peak! 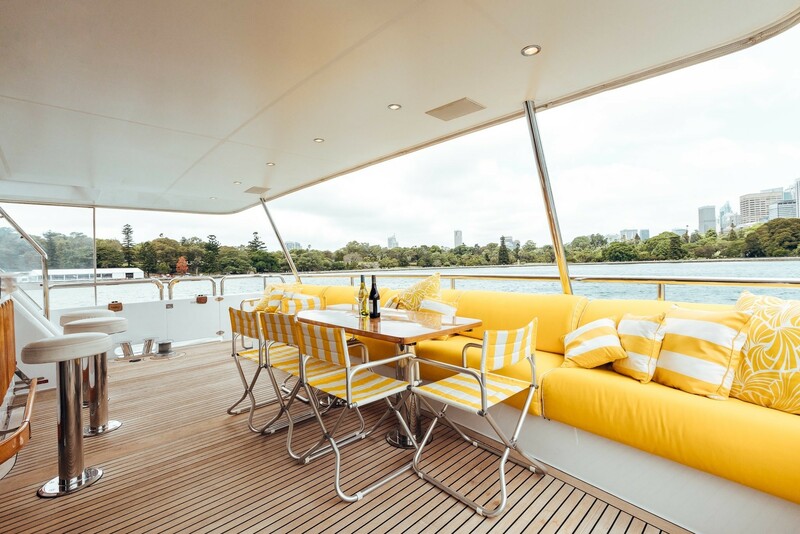 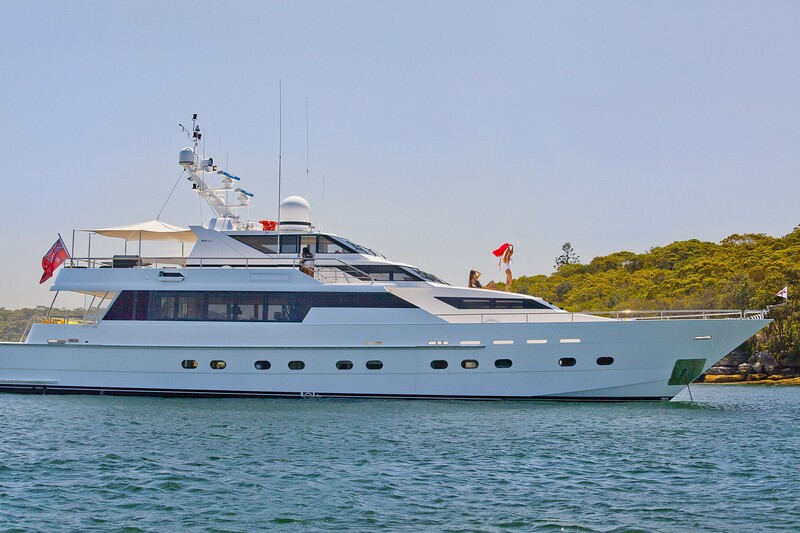 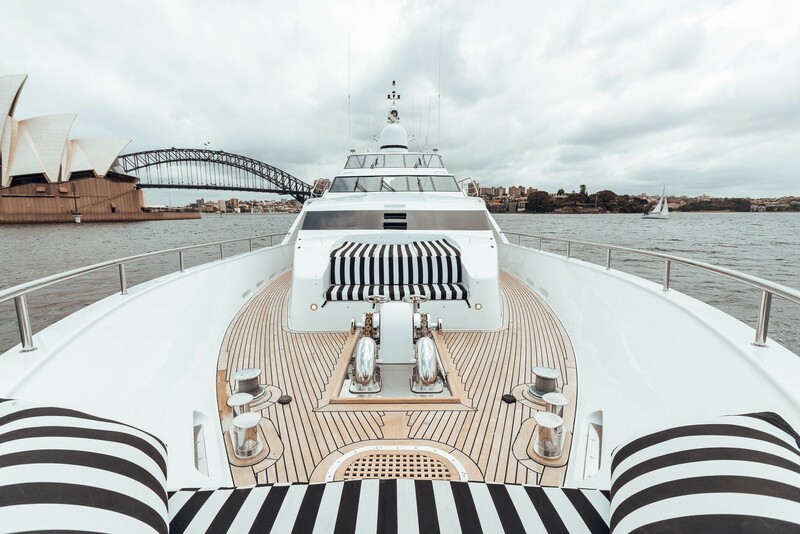 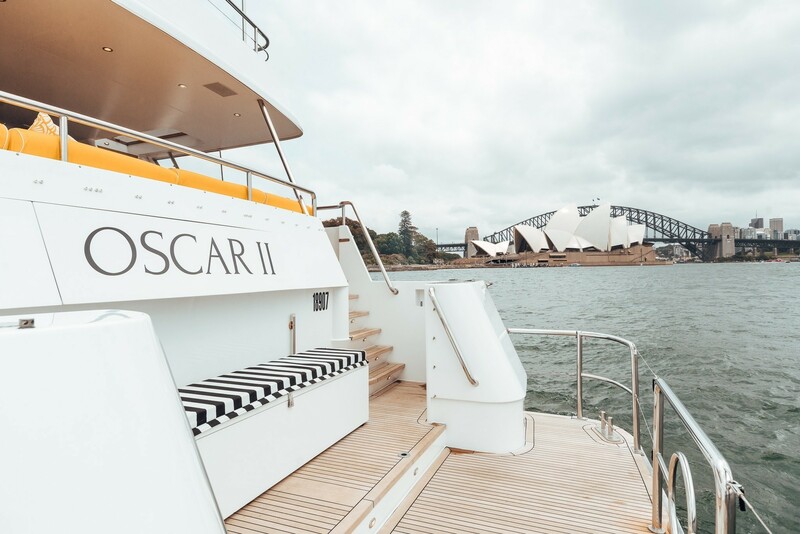 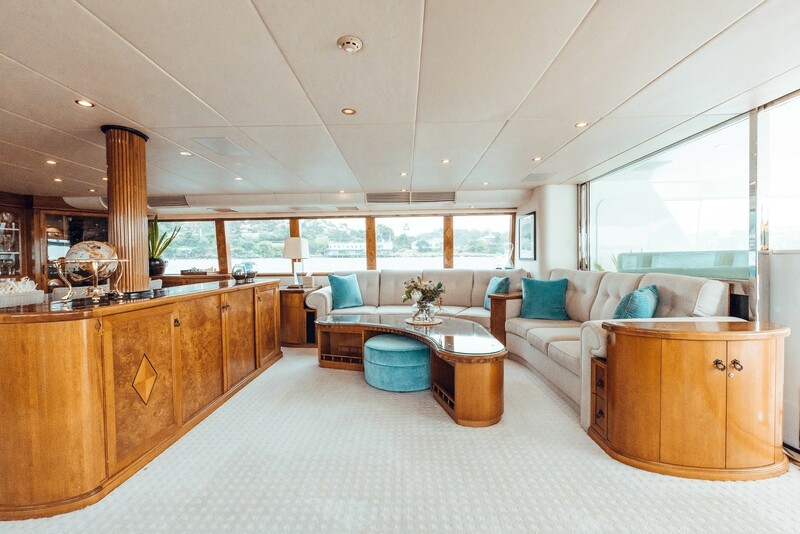 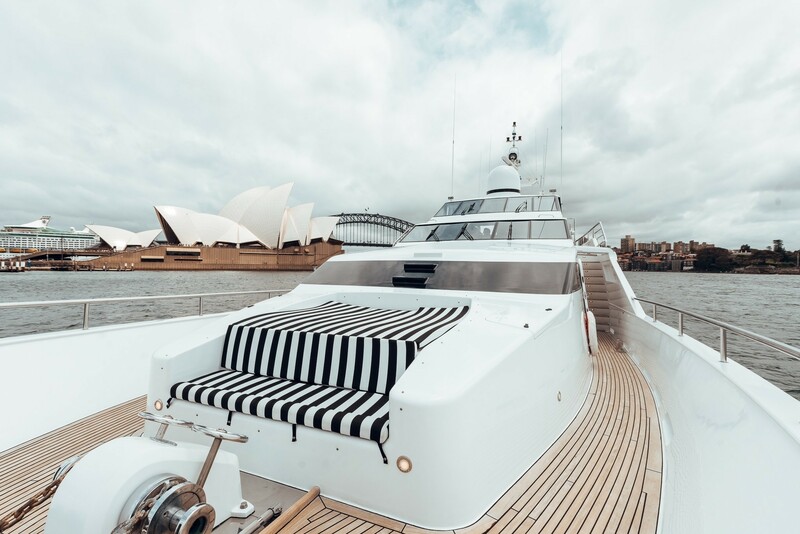 Luxury motor yacht OSCAR II is located year round in Australia and cruises the exquisite waters of Queensland between June and November and the exciting Sydney and Pittwater area between December to May. 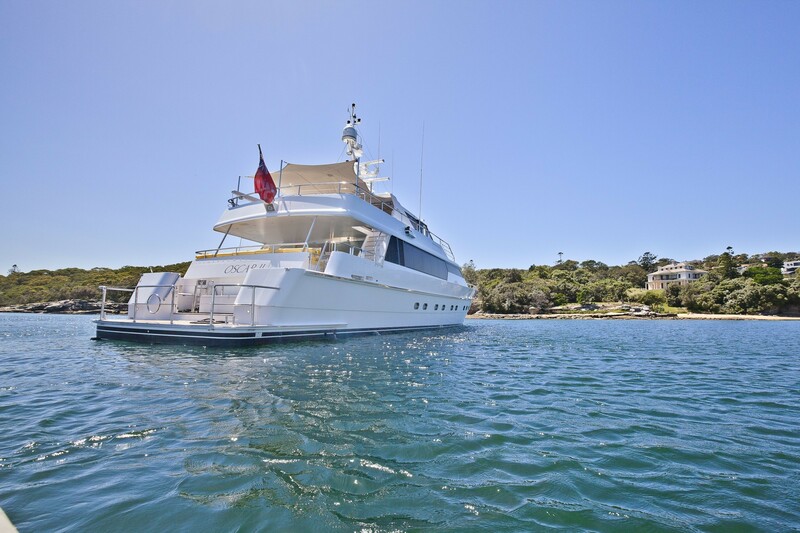 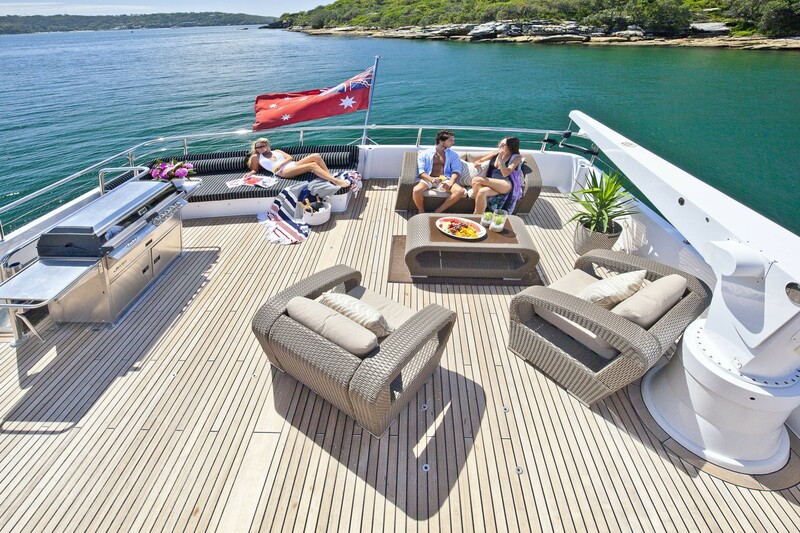 Luxury Australia based OSCAR II has accommodation for 8 guests in 4 staterooms. 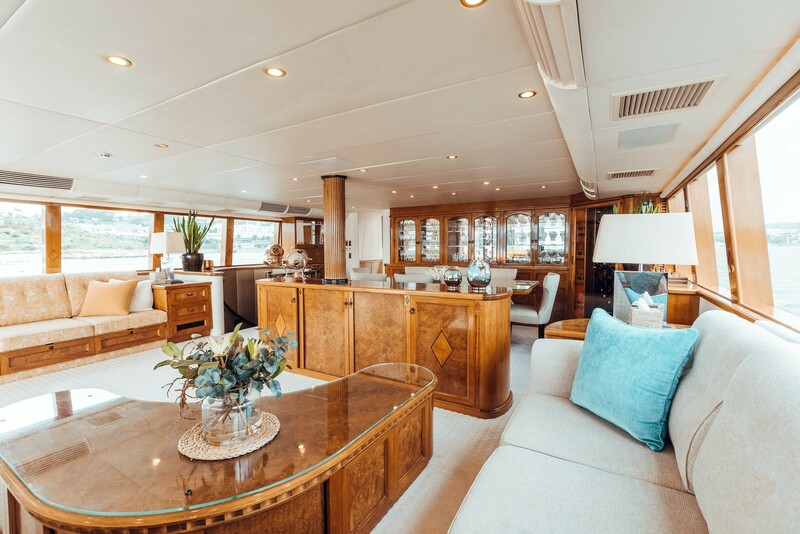 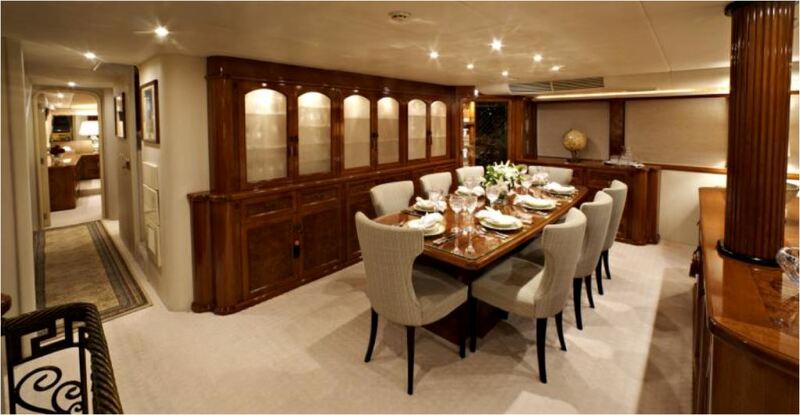 Her Master Cabin on the main deck comes complete with desk and IT facility. 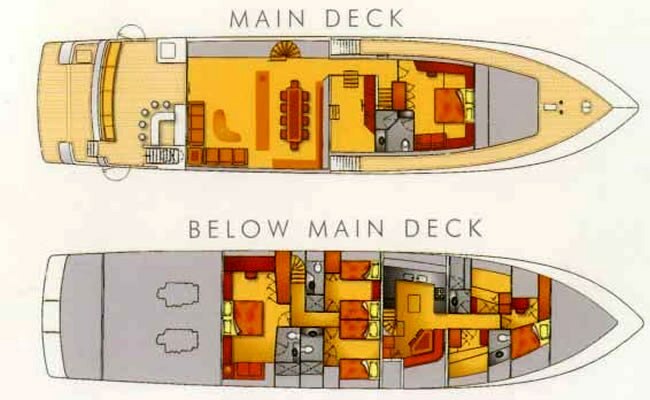 The full width VIP and two deluxe twin cabins with CD player, TV, and telephone are all are located below decks. 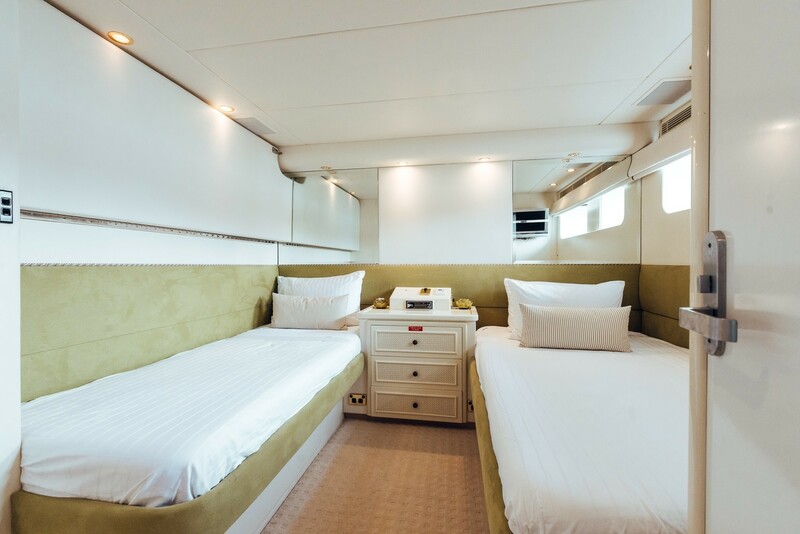 All cabins have private ensuite facilities and enjoy full air-conditioning.